I am personally quite happy with the progress that I could make on DotSVN. Using this library, it is currently possible to do the following operations. I have also added three sample application. One is a console based application. The second one is a WinForms GUI sample that is very similar to the TortoiseSVN repository browser. 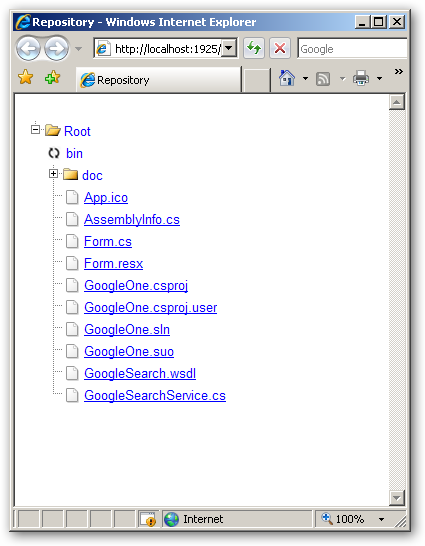 The third one, is a browser based SVN repository viewer using Yahoo UI controls.